Have you ever wondered how long you could freeze something and it still taste okay when you defrost it? And if you should freeze it in the first place? 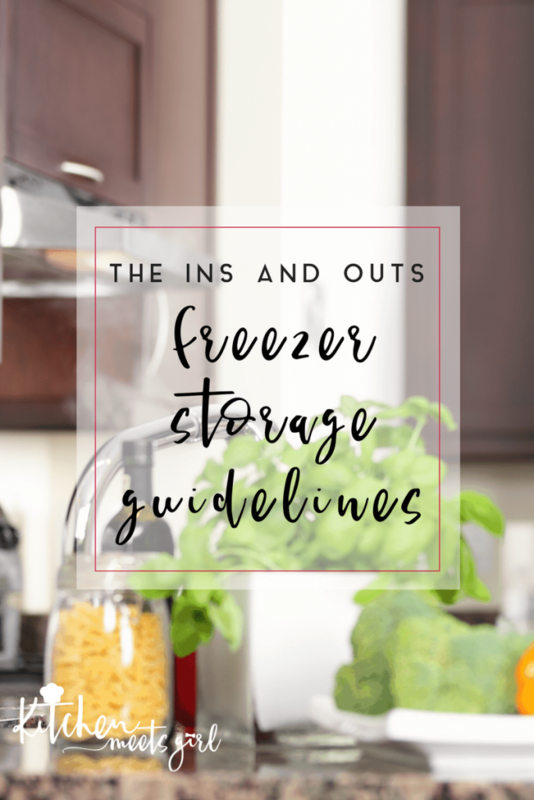 This nifty guide goes over the ins and outs of freezer storage so you know how long your frozen foods will taste their best. Even if you freeze foods correctly, they just won’t taste good after a certain time period. But what time period is it? Just how long can you freeze that loaf of bread or that pound of hamburger? Food that is properly handled and stored in the freezer at 0° F (-18° C) will remain safe. Although foods will remain safe indefinitely at this temperature, its quality will decrease the longer the food is in the freezer. 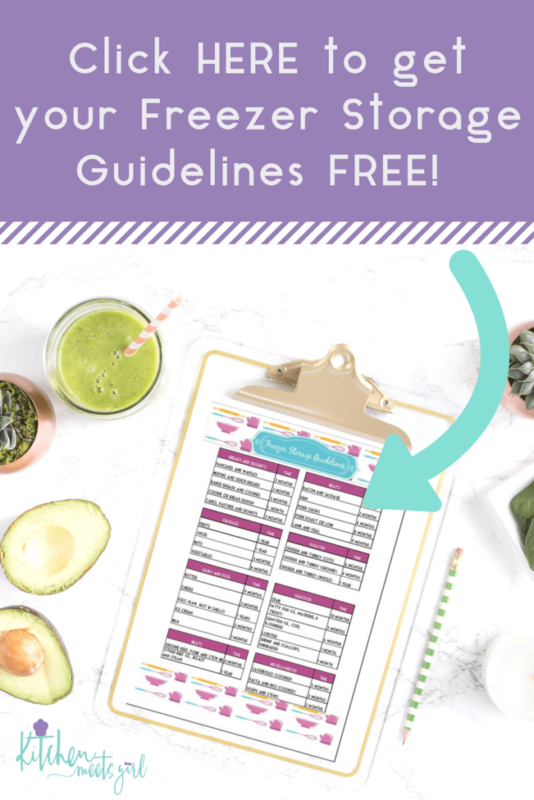 A food’s flavor, color, tenderness and smell can all be affected – that is why the guidelines on this list are just that: estimates of how long the food will taste its best. According to the FDA, freezer burn is a food-quality issue, not a food safety issue. Freezer burn doesn’t mean food is unsafe. When foods are not air-tight, freezer burn occurs, and appears as leathery spots on your food. The FDA also recommends that you check the temperature in your freezer and your refrigerator regularly – once weekly! Ummm….who here does that?! Not me, I have to admit. ? If an item has been frozen and then thawed, it should not be frozen again. This can make your food unsafe to eat. 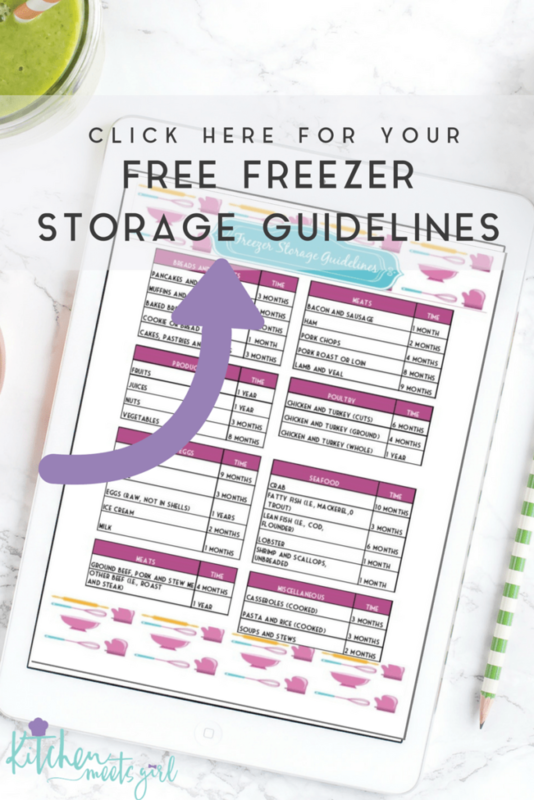 So when you are using your Freezer Inventory List to clean out your freezer, use these freezer storage guidelines to help you to determine what to throw out when – and also what to eat when the foods still taste best.